So some readers will already have seen the article in today’s New York Times entitled “Cancer’s trick for dodging the immune system“. This actually is an interesting and important new set of findings, because — based on the earlier models of how checkpoint inhibitors like the anti-PD-1 and anti-PD-L1 antibodies work — prostate cancer has been pretty resistant to treatment with these newer agents. The new science explained by the research team (see the full-text article by Poggio et al. in Cell) has opened a whole new set of possibilities as to how to use these agents in prostate cancer and some other forms of cancer. Don’t think that this form of treatment is going to be available at your doctor’s office next week. It may take years to work out if and how to apply this type of therapy in humans — and even though it seems to have worked very effectively in the laboratory mice, it may not work at all in men. We have said this often before and we will probably say it often in the future too. What can be shown in the laboratory is hypothesis-generating and sometimes hypothesis-confirming, but turning these types of scientific ideas into practical, effective, and safe treatments for disorders in us humans is a long and winding road away from such initial laboratory findings. Very interesting find. So, if PD-L1 could be removed from a human with CRMPC, why could it not be tried on the patient, as a volunteer, with no other options? For starters because being able to identify and remove PD-L1 from microvesicles in a mouse is one thing. Being able to do it in a human is entirely different. I’m not even sure we would know how to do that yet. Why don’t PD-L1 blockers like Keytruda work for prostate cancer? Actually, to be strictly accurate, pembrolizumab (Keytruda) is a PD-1 inhibitor (like nivolumab/Opdivo). The PD-L1 inhibitors are drugs like avelumab (Bavencio) and atezolizumab (Tecentriq). However, both types of drug (known as checkpoint inhibitors) interrupt the interactions between PD-1 (on the surfaces of T cells) and PD-L1 (on the surfaces of tumor cells) that largely “shut down” the way that the immune system works when cancer is present. By blocking one or other of these agents, the immune system can be reactivated to a significant extent in people with certain types of cancer. What appears to be the case is that prostate cancer cells, and therefore prostate cancer tumors, don’t express PD-L1 on the surfaces of the tumor cells in the same way as occurs for other types of tumor cell (like lung cancer and melanoma cells for example). Rather, the PD-L1 entities are commonly “internalized” within the prostate cancer cells. 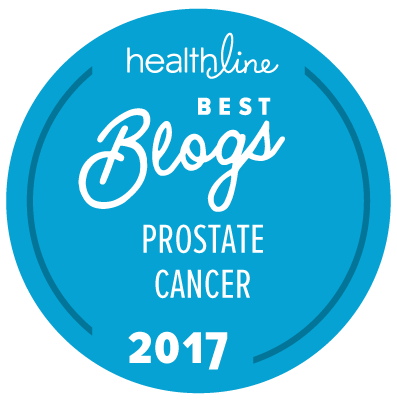 This means that the way in which the PD-1 and PD-L1 inhibitors normally work doesn’t apply well in the case of prostate cancer. There is a lot of research work going on to see if we can find ways to get around this problem, but it may take a while to get there. I would point out that there is a subset of men with prostate cancer (who have specific types of mutation) for whom drugs like Keytruda do work very well indeed. You might like to have a look at this article in Forbes from June last year. This is one of the reasons why most specialists now recommend genetic testing for DNA in the tumor cells (somatic testing), because it may help to tell which types of drug therapy are likley and unlikely to work in specific categories of patient.